This is what I am currently feeling. I know I don't owe anyone any explanations or anything, but it is still in my character to care. And, so I wanted to come on here and just explain why my blog posts are fewer and further between and why my email and/or comment responses take almost a month to accomplish. I am struggling with apathy. I look at my inbox each day and just watch it fill up but I just can't seem to find it in me put effort into much more than my and Ivy's survival right now. But, don't get me wrong - I LOVE LOVE the comments and emails and texts that send love and prayers and encouragement. I need them. I thrive off of them. I cherish them. And, I am so thankful to those who take the bold move to reach out to me. And I know that no one writes me with an expectation that I have to write back - but it is in my "normal" nature to do so. So, this apathy wars inside of me with my natural inclination to show that I care. I want to be able to express my gratitude and I want to encourage people to keep the loving correspondences coming…but I guess I am writing this just to let you know that I might not be as immediate as I once was. I read each and every single email and comment, but it might take me a month to respond. But, I promise that I will. Eventually. And, like I said, I know that no one expects anything from me. This is not coming from a place of feeling pressured by anyone…but myself. I want to be able to give back, but it is just very hard for me right now. Please don't give up on me. Even though I don't write on here too often right now, I know it is just a phase. Please continue to come back and check in …. eventually I will get back on the blog track. Even sitting down to write this one took me a lot of focus and discipline. Thank you all for being here and loving me and supporting me. I am just in a really dark place these days. Honey...Of course there's no need to respond. I do understand your nature to want to do so. I think for me (personally speaking) I check the blog not only to see how you're doing...but just as much to see pictures and videos of BOTH Vienne AND Ivy! Even to hear of Ivy's recent antics...so precious. Ivy reminds me so much of Vienne...and yet she is different in so many ways...all delightful. We gain insight when you post...ways we can pray...and much joy from the memories of Vienne and and the new ones being created with Ivy. Thank you for sharing these precious moments. I love you, my Dot. It's totally okay to feel apathetic. Please focus on your family, and just know that you are surrounded with love and support. You don't know me, but I follow your blog about your beautiful angel baby. My heart goes out to you. I am so sorry that you are going through this heartache. Please know that your are being thought of and lifted in prayer every day. Faith is believing that which cannot be seen. We are here. We cannot be seen. We need nothing in return. Believe in us! My deepest prayers are with you this Thanksgiving. I pray that when you sit down for that meal, with family and friends. With candles. And warm goodness and the glow of love. 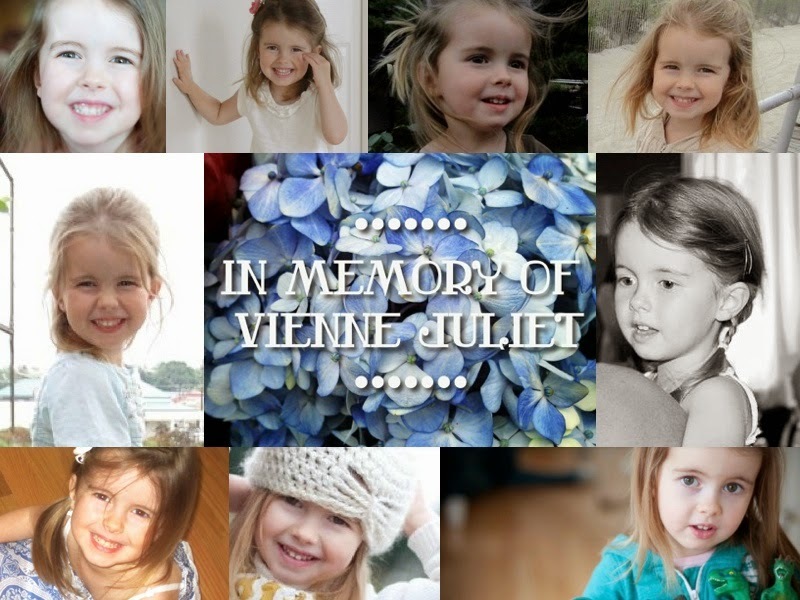 I pray that as you close your eyes you see Vienne's beautiful ones. Glowing with that same love and goodness. She is there dear one, she is there. I have been thinking of you as this holiday season ramps up. I'm so glad that you are surrounded by loving and supportive family for Thanksgiving. If you were truly apathetic you would not care about the emails, the prayers, the sweet comments and love being sent your way. It is a good sign that you do care so much. Go easy on yourself as you heal and forgive yourself for not responding. I know I'd rather see you working through your current phase of darkness than see an email in my inbox. Your healing means so much more, though of course, you want to share back your loving care for others. "Yea though, I walk through the valley of the shadow of death, I will feel no evil for thou art with me"
I am reminded by past teachings that we will walk through the valley, we are not left in the valley. Press on, friend, and let us bless you with no response needed.